World Communion Offering. Around the globe, countless gifted and qualified people face financial obstacles that hinder them from preparing for the vocation God has given them, especially youth and young adults. For ethnic students who will be the first generation in their families to attend college or for those people of color who haven’t historically had access to resources that make higher education possible, the road toward education has often been unwieldy. On Sunday, October 2, Tucker First will participate with other United Methodist churches around the world and give to the World Communion Sunday Special Offering. The special offering provides college scholarships for racial and ethnic minority students across the U.S. and worldwide. Our gifts empower the leaders of tomorrow. 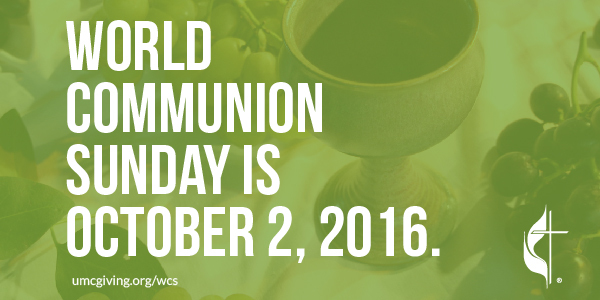 Please mention in the memo line of your check, World Communion Offering. Volunteers - You do NOT have to have construction skills to help with this mission project. All hands are welcomed. If you would like to volunteer as a worker or donate a meal, you can sign up at http://tinyurl.com/TFUMC-Habitat. Questions? Please contact Kay Entrekin at kayjohne@gmail.com . Add has been rewritten. Bulletin – please only run date for October 8. Spaghetti Fundrasier for International Missions. In November, several members of Tucker First will be joining the mission team from Snellville UMC to journey to Nicaragua. The team is partnering with Snellville UMC who has had an active partnership with the Bridges of Hope Ministry in Nicaragua for the last twelve years. Please join us for a spaghetti lunch on Sunday, October 2 in the Activities Center at 12:30 pm to learn more about this wonderful mission program. The program will include slides from previous Bridges of Hope mission trips and missionaries from Snellville UMC and Tucker UMC will be on hand to talk and answer questions. All donations are welcomed and the proceeds from the fundraiser will go towards building wells and houses.